Product prices and availability are accurate as of 2019-04-20 05:01:43 UTC and are subject to change. Any price and availability information displayed on http://www.amazon.com/ at the time of purchase will apply to the purchase of this product. 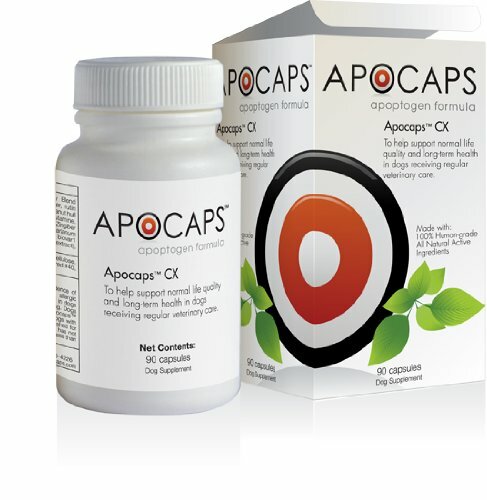 Apocaps CX is the world's first apoptosis pill, developed by Dr. Dressler. 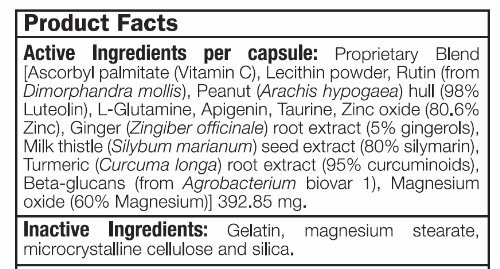 It is made in the USA with all natural, 100%-human-grade ingredients and is manufactured to human-grade standards. Apocaps CX is the only apoptosis formula available specifically for dogs. This product was developed by a veterinarian specifically for use with his own canine patients. Veterinarians and Veterinary oncologist around the world recommend Apocaps for dogs who could benefit from apoptosis support. Apocaps CX can also be used in conjunction with Everpup, also formulated by Dr. Dressler, as it is considered a multi-vitamin. In Chapter 12 of the Dog Cancer Survival Guide, Dr. Dressler discusses nutraceuticals, specially Apocaps CX, at length, and provides further insight into the world's first apoptosis pill. Designed by a renowned veterinarian for use in his canine patients at his veterinary hospital and now trusted by vets around the world Small, easy-to-dose capsules which don't need to be split with 90 capsules per bottle.